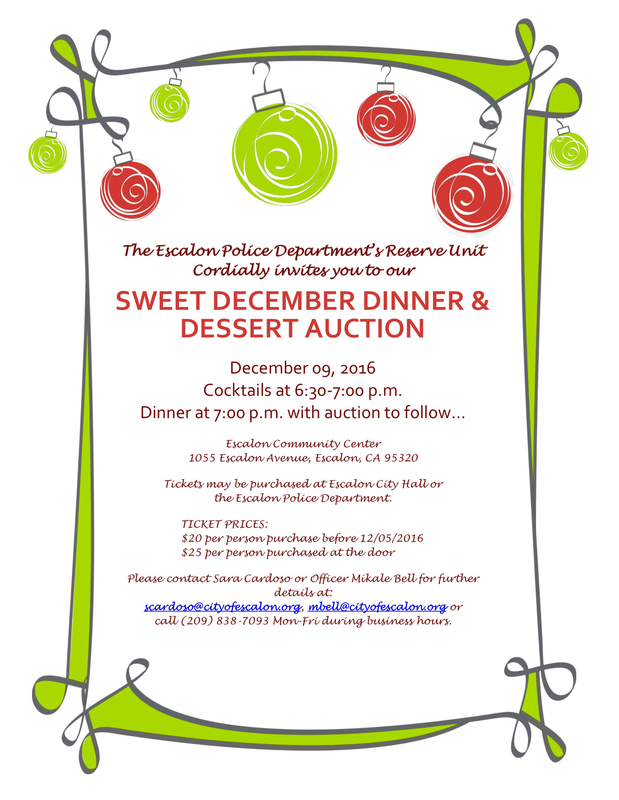 The Escalon Police Department’s Reserve Unit Cordially invites you to their Sweet December Dinner & Dessert Auction. Contact Sara Cardoso or Officer Mikale Bell for further details at http://www.scardoso@cityofescalon.org – http://www.mbell@cityofescalon.org or call (209) 838-7093 Monday – Friday during business hours. Previous Previous post: What the Passage of Proposition 64 means to Escalon. Next Next post: Escalon Police Activity Log for 10/31/16 – 11/09/16.